Portable Drinking water is water that has been either treated or filtered to meet the established drinking water standards. It is assumed to be free of harmful bacteria and contaminants, and considered harmless to drink or use in cooking. 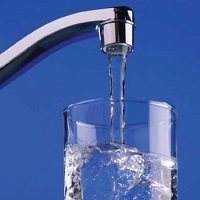 Examples of potable drinking water is water from treated municipal water systems, water that has been filtered from ultra violet radiation, water that is distilled, or purified by reverse osmosis.Water which is not safe to drink carries bacteria and heavy metals. People consuming this water shall face illness and there may also be risk of death.